At least one Sr. Editor at CORAL is grinding his teeth in the most envious fashion while reading this latest update from Rising Tide! We’re excited to share this update from the team out of University of Florida’s Tropical Aquaculture Laboratory. Keep up the great work! 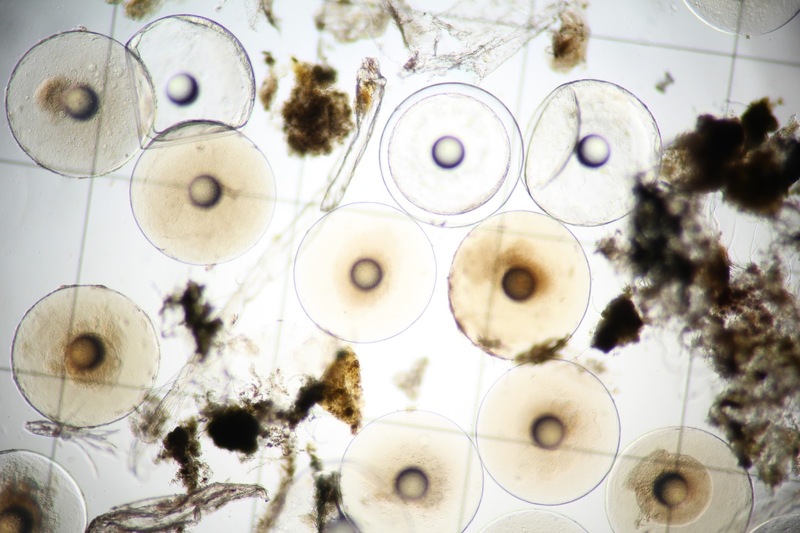 Non viable eggs of Milletseed Butterflyfish collected in the quarantine tank. Oocyte samples taken by canulation of female Milletseed Butterflies. Left shows primary growth oocyts. 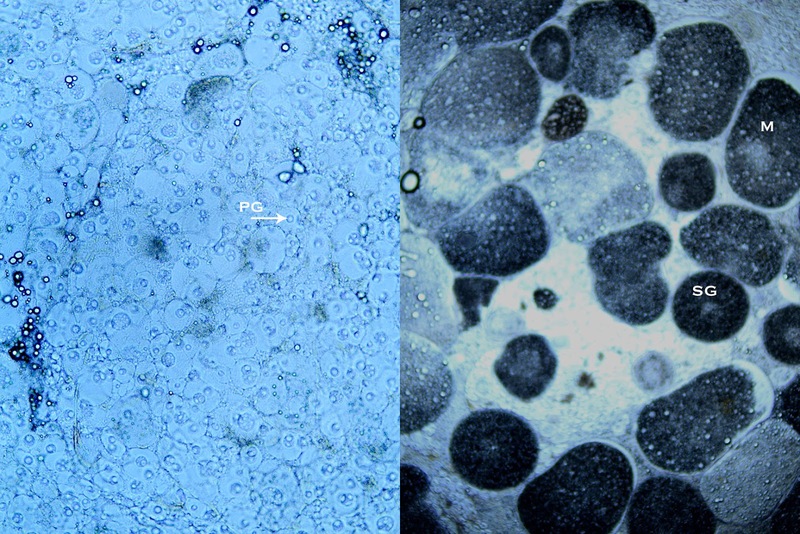 Right shows mature oocytes. 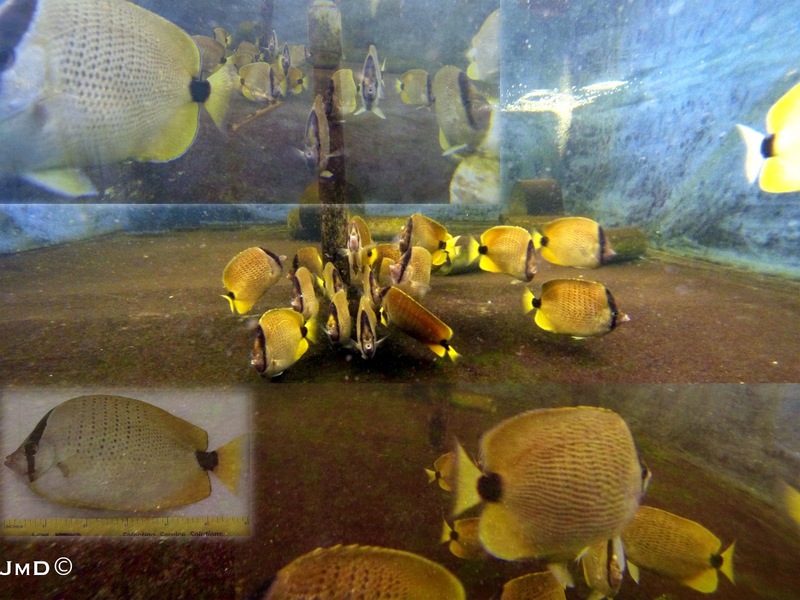 I am curious as to why the U of F Tampa Bay Florida facility chose to work with a Pacific butterflyfish species in a facility where related Florida/Caribbean species (Reef butterflyfish Chaetodon sedentarius) is readily available in adjacent waters. 1) It represents one of the largest groups traded within the marine ornamental trade. 2) Hawaii’s push to eliminate wild harvest from its reefs has created a need to bring endemic species from the region into culture before they can no longer be collected for the trade. 3) A list of species was chosen for the Rising Tide Initiative and it was determined to be one of the most ascertainable species listed. 4) The traits of the this butterfly bode very well for reef aquariums as its wild diet is mainly zooplankton and in captivity it can be feed a wide variety of feeds such as mysid shrimp.